>Happy Day After Memorial Day! What a beautiful weekend! I think temperatures actually reached the 90’s here in Garrett County & Deep Creek Lake. Lots of people in town enjoying the lake, the state parks and the spectacular weather. Feel free to share stories & pictures to the I Love Deep Creek Lake & Garrett County group on Facebook! Posted on May 31, 2011 Author ilovedeepcreeklakerealestateCategories memorial day 2011Leave a comment on >Happy Day After Memorial Day! >Jay’s note: The Garrett County & Deep Creek Lake market numbers are definitely different overall than the rest of the country, as you can see from my monthly market analysis over the years, but there are still INCREDIBLE prices out there for the discerning buyer. Want analysis of a property you are thinking of buying or selling? I can help – give me a call (301-501-0420) or email me. NEW YORK (CNNMoney) — Home prices hit another new low in the first quarter, down 5.1% from a year ago to levels not reached since 2002. “Home prices continue on their downward spiral with no relief in sight,” said David Blitzer, spokesman for Standard and Poor’s. The index covers 80% of the housing market, and this month’s report confirmed “a double-dip in home prices across much of the nation,” said Blitzer. >Just reduced $40,000 this morning! Now $389,900! Enjoy the comfort & privacy of a single family home with this 4BR, 4+BA, detached vacation home! Let the condo assoc. do the dirty work while you RELAX in over 3100 s/f of prime living space. Wide views of the lake from every room, 4 master suites (views! ), custom rec room with billiards, eat-in kitchen, expansive deck, hot tub, reading loft and more! Leased boat slips & owner financing avail. The Garrett County commissioners announced this week that beginning in July they will conduct public meetings on the first Tuesday of the month at 9 a.m. and the third Tuesday of each month at 4 p.m.
On the other Tuesdays, they will be in the office to review and conduct informational sessions with the county administrator, county attorney, government staff, component units, and other parties. “These work sessions will be scheduled to allow staff a time to present briefings to the board and to provide input to and receive guidance from the board,” the commissioners noted in a press release. Interested persons may contact the commissioners’ office to see what matters are scheduled for discussion on any dates. In addition, the agenda for all public meetings are posted on the Garrett County government web site at garrettcounty.org by noon on the Friday proceeding the public meeting. Public meeting minutes are posted on the same site. Anyone having questions may contact the commissioners’ office at 301-334-8970. Memorial Day activities will be held in several locations in Garrett County on Monday, at which veterans of today and of times past will particularly be remembered and honored by various military organizations, service organizations, school groups, and the public in general. This photo by John McEwen was taken in the Oakland Cemetery, where the annual ceremony of remembrance will be held following a parade through downtown Oakland. The parade will form at the Oakland Railroad Station and move at approximately 10:15 a.m. The service at the cemetery will begin at 11 a.m. and be conducted by members of American Legion Post 71 and Veterans of Foreign Wars Post 10077. The guest speaker for the service will be retired Brig. General Robert Hoffman. The Southern High School Band and Garrett Highlands Pipes and Drums will present patriotic numbers, and Jessica Storck will be a vocal soloist. >By Chris Appel, Cumberland Times-News, Md. May 27–ACCIDENT — Considering it’s been a decade and a half since the last time anyone in the area has accomplished what she has, it could be a long time before we come across another player like Kaitlynn Fratz. After four years of scoring almost at will, Fratz’s high school career puts her in a neighborhood with few occupants. With her second consecutive selection as the Cumberland Times-News Area girls basketball Player of the Year, she joins Westmar’s Dawn Sloan (1990-92) and Jill McGowan (1995-97), and Bishop Walsh’s Lauren Zapf (1998-99) as the only players to win the award multiple times since its inception in 1990. By being selected player of the year Fratz also puts herself on the Times-News All-Area First-Team for the fourth year, becoming just the second player (McGowan, 1994-97) to be voted first team all four seasons. The All-Area team is featured in today’s Sports Magazine. Fratz can now lay claim to a barrel of records and milestones. She holds Northern High School records (girls and boys) with 221 career three-pointers, 284 career steals and the single-season scoring mark with 734 points. She also set school girls records with 305 career assists and most points in a single game, with 39. With 2,103 career points, Fratz is Garrett County’s all-time scoring leader. More important, though, was that Fratz was able to help her team to a 23-5 record and a trip to the Maryland 1A State Finals. After sharing the Times-News Area Championship with Allegany last season, Fratz led the Huskies to their first ever outright championship. The possibility of joining such an elite group did not seem to put any more pressure on her shoulders. At least not any that anyone could see. “Kaitlynn always felt that she could win — she wanted the ball in her hands when the game was on the line. Each game night tremendous pressure was on her shoulders, but you would never know it,” Coach Fratz said. And it seemed when Kaitlynn was able to ignore the pressure, the rest of the team was able to follow suit. At no time was that more important, or evident, than during Northern’s playoff run to the Maryland 1A finals. After scoring 15 points in an opening round win against Clear Spring, Fratz scored 24 in wins over Southern and Allegany, 25 in a region championship game win over Smithsburg and 28 against Mardela in a state semifinal. Kaitlynn finished her high school career by scoring 22 points in Northern’s 80-62 loss to Dunbar in the state championship game. Barely challenged as an individual scorer, she led the area in scoring for the third straight season by averaging 26.2 points, and drained an area-best 86 three-pointers. A 73-percent foul shooter her senior season (158 for 216), Fratz was also among the area leaders in assists (3.0 per game) and steals (2.8). Though already playing well enough to earn the area’s top award last season, Fratz still strived to improve her game through intangibles. Coach Fratz noticed the difference in the way she commanded the floor. “Game management was her best improvement. She initiated all of the offense, demonstrated patience and limited her emotions. She let the game come to her instead of pushing the envelope every time up the floor,” he said. Fratz will be continuing her career at the University of Pitt-Johnstown, where she has accepted a full athletic scholarship to play basketball. According to Coach Fratz, Kaitlynn is walking into a chance to make an early impact. The impact that Fratz had on the Northern basketball program will never be forgotten. Her No. 11 jersey was retired and will be prominently displayed in the lobby of the gymnasium. CUMBERLAND — U.S. Sen. Barbara Mikulski (D-Md.) will be in Allegany and Garrett counties next week. On Tuesday at noon she will be at the Center for Career and Technical Education in Cresaptown to hear from educators, parents and students about needs of rural school districts. On Wednesday, she visit with the Garrett Engineering and Robotics Society Inc., in Accident, at 10 a.m. These meetings with educators, parents and students about the needs of rural school districts are the fourth and fifth in a series of eduction roundtables Mikulski has convened in Maryland as Congress prepares to reauthorize the Elementary and Secondary Education Act. Mikulski recently was appointed chairwoman of the Senate Health, Education, Labor and Pensions Subcommittee on Children and Families. The HELP Committee will play a major role in reauthorizing ESEA. During the roundtables, Mikulski will ask participants how ESEA helps them improve student outcomes, how it gets in the way and how they would reform it to better meet their students’ needs. In Allegany County, she will visit the Allegany Center for Career and Technology. During the Garrett County visit, she will focus her discussion on science, technology, engineering and math (STEM) education. During her stop in Allegany County, Sen. Mikulski will also visit the Cumberland Fire Department, where she will tour a fire station and meet with first responders. In the last year, the fire department has received nearly $1.5 million in federal funding to hire firefighters and police officers. ESEA emphasizes equal access to education and establishes high standards for students. In 2002, the law was reauthorized as the No Child Left Behind Act, which chronically underfunded its mandates and too often applied a one-size-fits-all approach to addressing some of the biggest challenges in education. This year’s reauthorization is an opportunity to provide schools with the flexibility and resources needed to make improvements. Fly-fishing is therapeutic for many disabled military veterans, who receive training through Project Healing Waters Fly Fishing Inc. Oakland resident Harold Harsh, a former Marine, has been involved with the group since its inception about five years ago. Harsh is pictured above with TSGT Shaun Meadows, USAF, at a fly-fishing tournment at Rose River Farm in Syria, Va. Note that Meadows has endured a grave injury, but now stands on his own. Posted: Thursday, May 26, 2011 3:00 am | Updated: 9:58 am, Thu May 26, 2011. A proposal to limit boat noise on Cecil County rivers split residents largely into two camps at a Tuesday night hearing: Older waterfront property owners and younger “performance boating” enthusiasts. The Maryland Department of Natural Resources officials hosted the session at Elkton High School on pending regulations to quiet noisy boats on the Bohemia, Elk and Northeast rivers as well as the Chesapeake and Delaware Canal. Bob Gaudette, director of boating services, said the agency gets a lot of telephone calls about the breach of the waterfront peace. 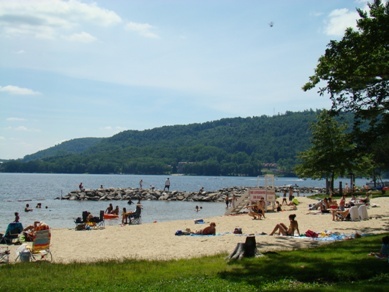 Other than Deep Creek Lake, there are few places in the state that generate as many complaints, he said….